As Rita takes her mother's place at work, the nearby skating rink she loved as a child brings back fond memories. Rita also finds herself renewing friendships with her childhood best friend, Marley, as well as her classmate Johnny. Although they now lead such seemingly different lives, Rita is surprised by how well she and Johnny connect and how far he will go to help her. 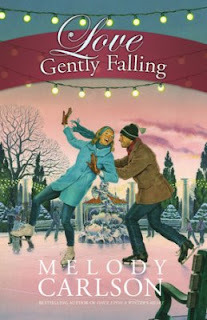 Though Rita believes Johnny is only being kind, with romance kindling in the air and on the ice, their friendship may just fall into something more. Buy the book HERE. teacher to youth counselor to political activist to senior editor. But most of all, she is a writer who loves to write! 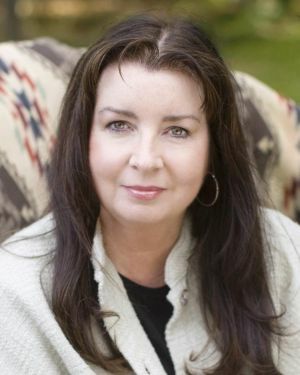 She is a bestselling and award-winning author of more than 200 books for children, teens, and adults--with sales totaling more than six million. Carlson's passion for 'true to life' fiction has had great success for both the young adult and women's markets. Informed and aware of the challenges and struggles facing teens today, she writes young adult novels that she hopes will change lives and women's fiction to which women of all ages can relate. Her popular series, Diary of a Teenage Girl (Multnomah), has sold more than 775,000 copies and her popular Christmas novellas have sold over 590,000 copies combined. She lives in the Pacific Northwest with her husband. They enjoy skiing, hiking, gardening, camping and biking in the beautiful Cascade Mountains. Learn more about Melody HERE.